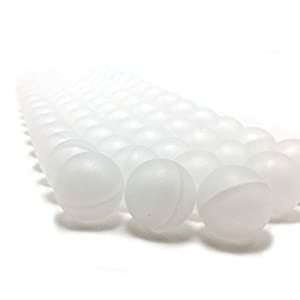 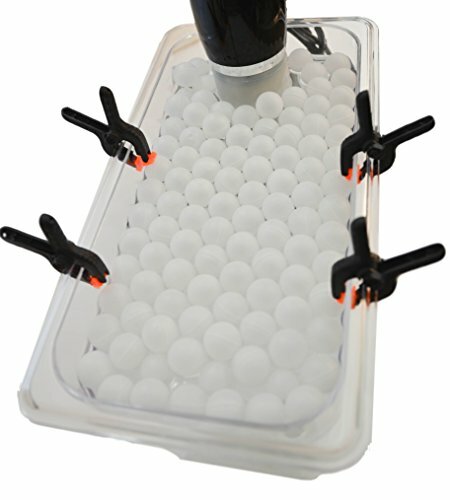 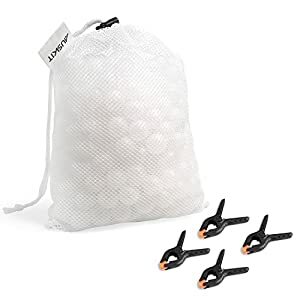 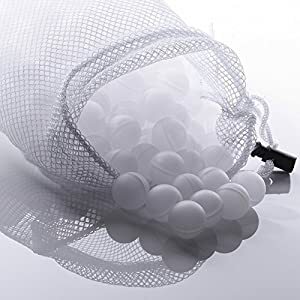 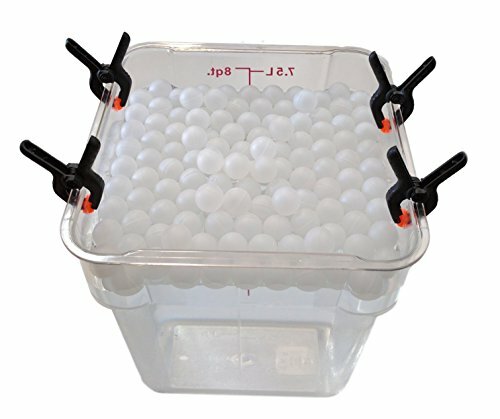 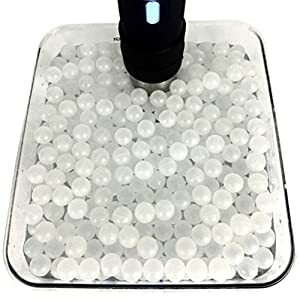 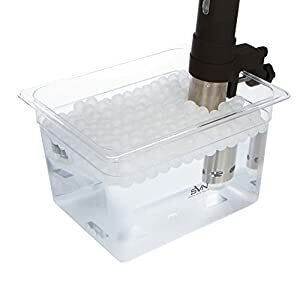 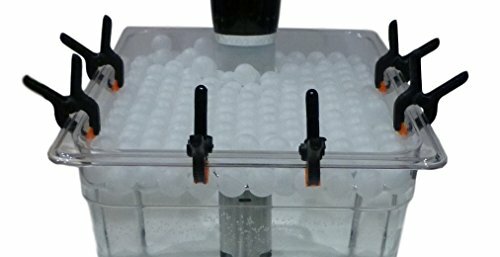 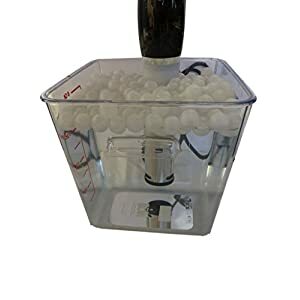 Sous Vide Insulating Polypropylene Floating Balls can be used to cover just about any Sous Vide cooking vessel while fitting around any circulator. 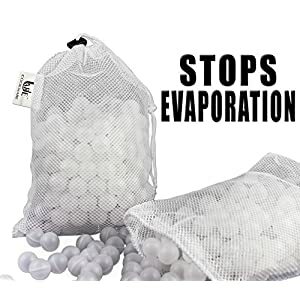 They reduces splashing hazard, as well as heat loss and evaporation. 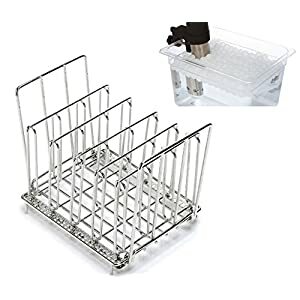 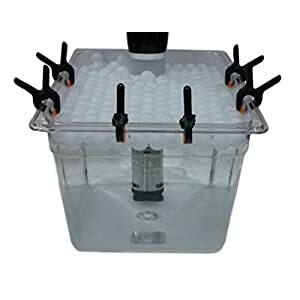 This will help reduce energy costs as well the need to refill the water bath thus saving you the hassle of having to add water to the bath during long cooks. 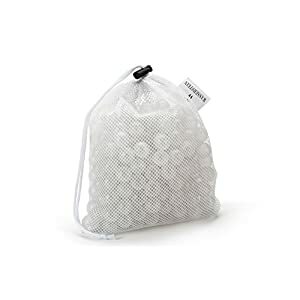 Includes Sous Vide Clips for attaching your sous vide bags.